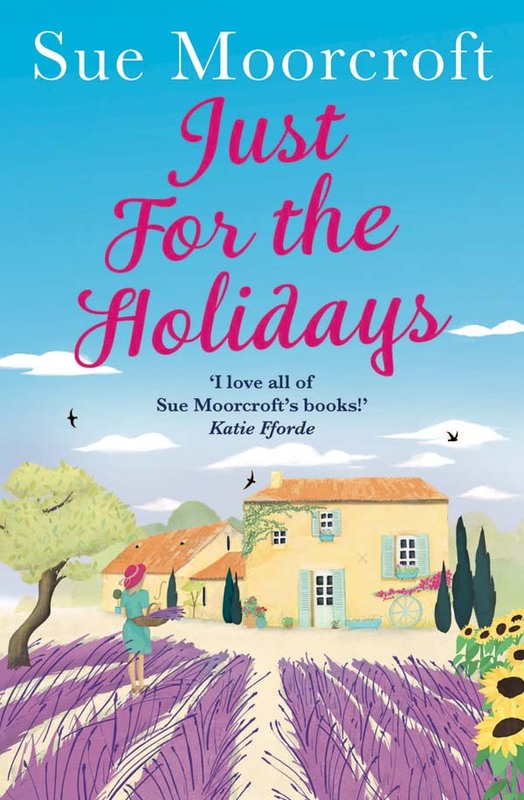 My review today is for Just For the Holidays; the new novel from Sue Moorcroft, released this week. In Just For the Holidays we meet Leah, a saint amongst sisters, who is emotionally blackmailed by big sister Michele to join her fragmented family on holiday in Alsace. Although she doesn’t realise it at the time, the list of family traumas she will end up dealing with could have filled a parenting magazine, which for a single, childfree, ultra cool Auntie, is impressive. Thankfully she has back up. First it’s chocolate, and with Sue’s delicious descriptions I too could imagine the taste of the delights whipped up to diffuse the tensions of the hormonal teenagers trying to come to terms with their family troubles. Then there is Ronan, single Dad to another teenager, handily located next-door, and happy to offer his support to Leah. Let’s face it; what female could resist a man with the combination of the toned body of a helicopter pilot, with a vulnerable side too. Sue’s characters are vibrant and believable. I loved Leah, who comes across as strong and independent, despite being somewhat coerced into a tricky situation by her sister, who quite frankly I could have slapped. There are many emotions that run strongly throughout the book and that I felt within me as I read; from the confused tears of a teenager coming to grips with adulthood, to the frustrated passions of new love. Sue’s obvious love of Alsace as a location also stands out. It is an area of France I have wanted to visit for a while now and Sue has certainly strengthened my resolve to get there. This is a great family drama, packed full of fun, love, laughter and tears that needs to be on your holiday packing list this summer. To read more about her love of France, see here for my France et Moi interview with her.